According to the World Health Organization’s World Health Statistics, 2008, the United States has a cancer mortality rate of 134 per 100,000 population, which makes it tied for eighty-ninth (with Congo, Italy, and Luxembourg) in that category. 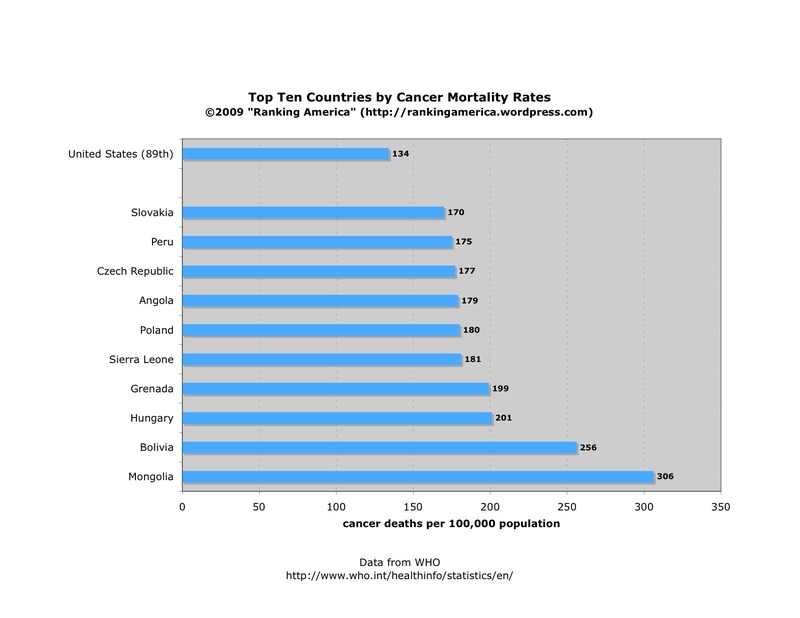 Mongolia ranks first, with a cancer mortality rate of 306 per 100,000 population. Kiribati has the lowest rate, at 52 per 100,000.